Dubspot LA’s 1st Wave of Teachers Announced! Thavius Beck, Daddy Kev, Steve Nalepa, Matt Piper, and Computo! 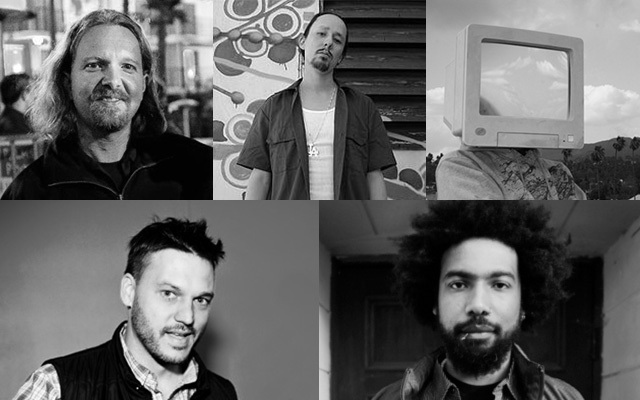 We are very pleased to introduce your teachers for Dubspot LA! Thavius Beck, Daddy Kev, Steve Nalepa, Matt Piper, and Computo will be teaching courses at Dubspot LA starting this summer. With the launch of DSLA coming this summer, we have been deep in planning mode for many months now, with a primary focus on building the best teaching staff possible for our new school. After much consideration we are proud to announce that Thavius Beck, Daddy Kev, Steve Nalepa, Matt Piper, and Joe Caputo (aka Computo) have been confirmed to teach at our Los Angeles location starting in June of 2014. Thavius is an electronic musician/producer/programmer as well as an Ableton Certified Trainer who has worked with artists ranging from Nine Inch Nails to Saul Williams to singer/songwriter Skylar Grey. He is currently signed to LA-based label Plug Research, who released his most recent solo album, The Most Beautiful Ugly. In addition to creating and performing his own music, he has held electronic music workshops in multiple countries, regularly gives one-on-one tutorials to private students and artists on Ableton Live, and has worked closely with companies such as Novation and Keith McMillen Instruments doing product demonstrations, dealer trainings, beta testing, and showcasing the gear that he is most passionate about. Thavius developed half the video content for our new Ableton Live 9 online course (designed by Chris Petti), and for several years he’s been the voice you hear at the top of our Dubspot promo videos. Steve Nalepa is an esteemed music technologist and audiovisual producer, known for his vast and eclectic array of artistic collaborators. He is a key node in the electronic music scene, cultivated through years of creating music, producing events and mentoring many of today’s top artists in Ableton Live. Nalepa helped design the Ableton Live curriculum for Dubspot, the premier, cutting-edge Music Production and DJ School for experienced and aspiring artists in New York and Online. Adept in ProTools, Logic and Reason as well, he’s been teaching Ableton Live for over eight years, to newcomers and experts alike. He has consulted and set up tour performance documents for a plethora of established artists including Drake, The Weeknd, Photek, The Liars and Flying Lotus. Working at M-Audio and Ableton, Nalepa provided VIP support and software training for a multitude of high-profile artists. He is the Ableton Live telephone lifeline for a number of notable tech gurus. Steve Nalepa previews Dubspot’s Ableton Live program, and demonstrates how to create custom arpeggio patterns. Daddy Kev will be a new addition to Dubspot’s staff and someone who we are extremely pleased to have on board. As owner of Alpha Pup records and co-creator of the Low End Theory night, he is omnipresent in the LA scene and has been a first-hand creator of the city’s “beat scene” which has become so popular in recent years. Kev has been a mentor (and in some cases also audio engineer) to many LA artists such as TOKiMONSTA, Nosaj Thing, Flying Lotus, Daedelus, and Gaslamp Killer. His dedication to his craft and the still-growing reputation of the young artists who have emerged from the Low End Theory scene has made him an influential figure among beat enthusiasts worldwide. We organized a workshop event with Daddy Kev (along with Low End Theory co-founder DJ Nobody) in Los Angeles in 2012, and after the workshop we spoke further with him about his music philosophies and his role in helping to foster the artistic and professional growth of up-and-coming artists in LA’s music scene. Dubspot interviews Daddy Kev, Alpha Pup label boss and Low End Theory co-founder. Joe Caputo aka Computo attended Carnegie Mellon University and graduated from the Berklee College of Music before moving out to Los Angeles in 2005. Prior to joining Dubspot, he worked for Native Instruments for five years as a trainer and software guru, teaching VIP artists like A-Trak, Flying Lotus and Duran Duran, Maroon 5, Zedd and Borgore the ins and outs of Komplete and Maschine. Joe is one of the main teachers in the online version of our Sound Design program, and he is a master of helping students learn how to create the sounds of today’s music. He produces music himself in many genres, but really loves creating weird sounds for their own sake. « Dubspot @ NAMM 2014! Part 1 – Synth Mania w/ Moog, Elektron, Dave Smith, Waldorf, Nord, and More!